The HOPE Public Interest Resource Center is located on the 4th floor of the Law School library in Suite B446. Contact us about opportunities for community outreach and advocacy! 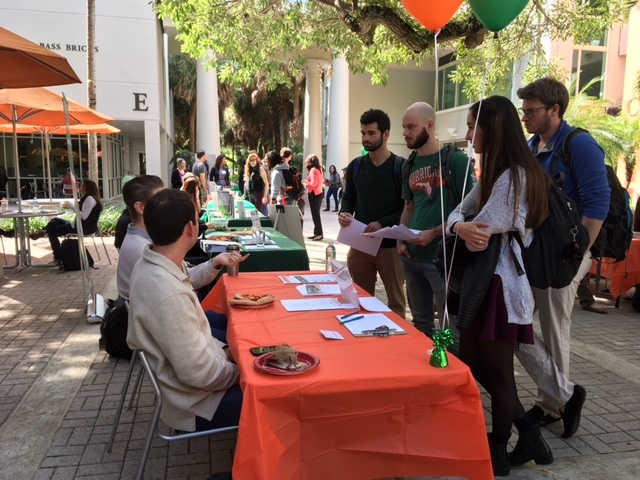 Check the website for programs of interest and contact us at umhope@law.miami.edu. If a student has an idea for a project, please contact umhope@law.miami.edu. HOPE is eager to hear from students and explore what projects meet their interests and, if the opportunity arises, develop a new area of outreach and advocacy. Sign up to become part of our Public Interest Speaker's Board and share personal experiences about promoting access to justice for all. In addition, experiences as a private sector lawyer taking on pro bono cases, or as a full-time public interest lawyer, are stories HOPE also wishes to share with our students. Contact umhope@law.miami.edu. All donations go directly to serve others and promote access to justice. A donor may choose to support a specific project or make a donation to the HOPE Fellows program in order to help send UM Law students around the globe to work with public interest agencies. Please note that in accordance with rules established by the Florida Bar, students are not authorized to practice law without the supervision of attorneys. Therefore, HOPE is unable to provide direct services to clients in need.